We have a look at the new DJI Inspire 2 with the 20 megapixel Zenmuse X5S Micro Four Thirds camera. The Inspire 2 is a significant upgrade of the Inspire 1, which is now just over 2 years old. 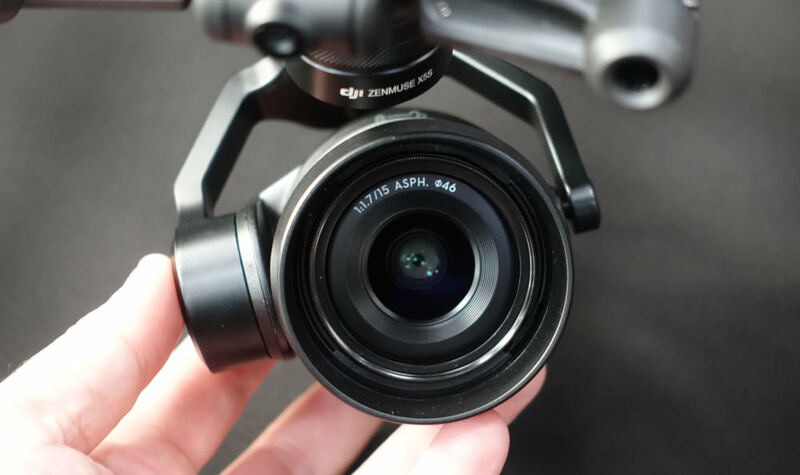 Designed for film makers, the Inspire 2 has redundancy built-in, so that the drone won’t fall out of the sky, (unlike some GoPro Karma drones), and features significantly updated cameras, including a new Micro Four Thirds camera. The drone also offers the option of using two controllers, one to fly the drone, and the other to operate the camera. DJI Phantom 4 Pro on the left, with the Inspire 2 on the right. As mentioned, the cameras have been upgraded to offer improved image quality with two new models. A new 20 megapixel Micro Four Thirds camera, and a new 20 megapixel 1inch CMOS sensor camera with a new lens. You get manual control over the camera settings for both stills and video, and camera settings can be controlled from the remote controller. There is also going to be a manual focus accessory so the lens focus can be adjusted remotely and smoothly. The drone also benefits from forward, up and down obstacle detection, dual batteries, and a number of professional accessories are due to be released included multi-chargers so you can charge more than one battery at a time. As the camera can be rotated 360 degrees, you shouldn’t need to fly the drone backwards, and therefore there isn’t rear obstacle detection, instead there is forward, above and below sensors. Smart return to home knows where obstacles are on the way back, so that the drone can safely return to you even over long distances. There’s an updated propeller system, and there are optional high-altitude propellers available that will allow the drone to fly at an altitude of 16,400ft (pending local laws and restrictions). The drone features self heating batteries so the drone can be used in extreme low temperatures. The FPV camera has 2-axis stabilisation and can be used by the flight controller, so the photographer/camera man can control the camera separately and not have to worry about what the pilot sees. There's also the option to have a Picture-in-Picture (PIP) display so you can easily view both camera views, as well as switch between them. The drone has a top speed of 67mph / 108kmph, with faster acceleration times (0-50mph in 4 seconds). The drone can also fly down at 30ft/s which DJI say means you could video skydivers. The drone can also go up at 20ft/s. Flight time has been improved, with up to 27 minutes. The original DJI Inspire 1 offered between 18 and 22 minutes depending on the battery used, and with the lightest camera. Image processing, Cinecore 2.0, is built-in to the drone, not the camera, so this enables the use of smaller cameras. It also supports Adobe Cinema Raw (DNG), Apple ProRes, H.265 and H.264, and the maximum resolution available depends on the camera you select, with the option of a Zenmuse X4s or X5s. * CinemaDNG or ProRes needed to record 5.2K, 5280x2160 and 5280x2160 resolution video at 29.97/25/24/23.976fps, with 12-bit 4.2Gbps possible with CinemaDNG or 10-bit 422HQ at 1.8Gbps with ProRes. 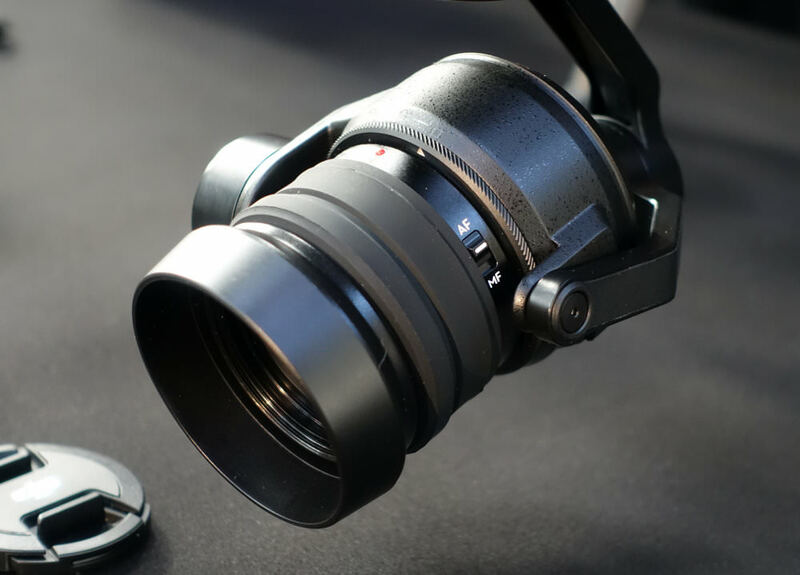 Both the Zenmuse X4s and X5s are detachable, and DJI say they will be releasing a gimbal handle so you can use the cameras without them being attached to the drone. Although the release date, specifications, price and features are not known at this time. CrystalSky Screens - Two new CrystalSky screens have been introduced, with two screen sizes available, a 5.5inch screen or a 7.85inch screen. The drone is compatible with DJI’s SDK (Software Development Kit) so developers can make additional apps. 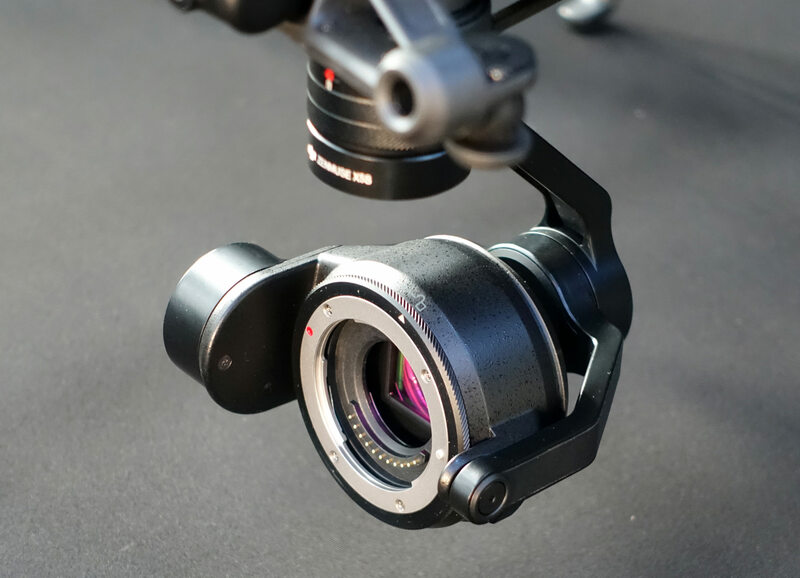 Or you can opt for the Inspire 2 Premium Combo for £6269 which includes the Zenmuse X5S and CinemaDNG and Apple ProRes video codecs and licenses. For those that find this a little expensive, there is a camera very similar to the Zenmuse X4S, in the new DJI Phantom 4 Pro.